It’s been decidedly un-summer-like recently. We’ve had an exceptionally wet two weeks—there’s a puddle in the yard, Coes Ford is flooded, and weeds and mushrooms are sprouting everywhere. Fortunately, that hasn’t stopped the strawberries. When my daughter braved the rain to pick, she found a surprising number of slug-bitten but delicious ripe fruits. 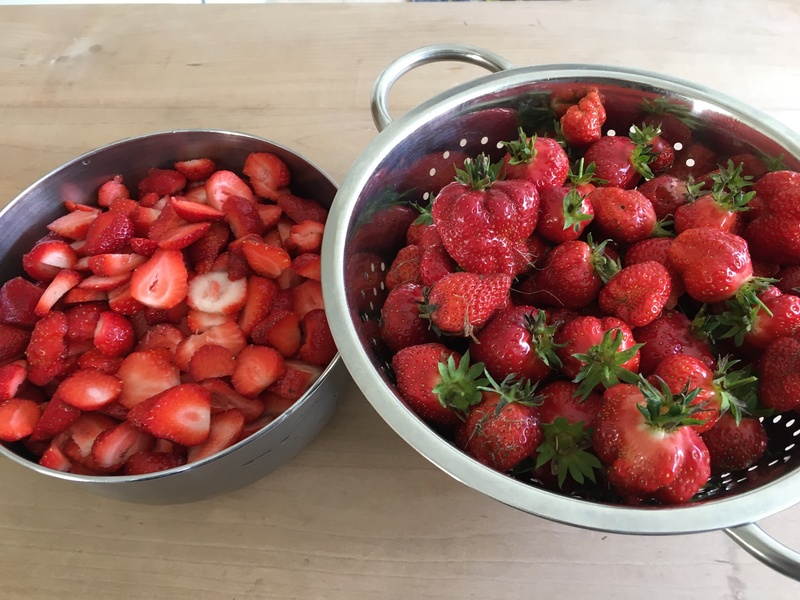 Strawberry shortcake for dessert, strawberries on my morning muesli, strawberries every time I walk through the kitchen…it must be summer!